The passive mode locking of vertical external cavity surface emitting lasers (VECSELs) enables the generation of high brightness ultrashort pulses at high repetition rates with unmatched performance. The peak power achievable with sub-200-fs pulse duration is mostly limited by the stability of the fundamental mode-locking regime as side pulses or harmonic mode locking emerges at high pump power. Here, we study a colliding pulse mode-locked VECSEL generating a pulse duration as short as 128 fs, with an average power of 90 mW per beam and a repetition rate of 3.27 GHz. The relevant laser parameters under different pumping regimes before and after the emergence of a side pulse are then used as input parameters for the simulation of the pulse interactions in the saturable absorber. We present a new comprehensive model for the calculation of saturable losses in the saturable absorber mirror and we study the energy transfer between the two counter-propagating pulses. This study reveals how a colliding pulse scheme reduces the saturation fluence of the absorber by a factor 2.9 and suppresses the mode competition between the two counterpropagating pulses of the ring cavity. M. Butkus, E. A. Viktorov, T. Erneux, C. J. Hamilton, G. Maker, G. P. A. Malcolm, and E. U. Rafailov, “85.7 MHz repetition rate mode-locked semiconductor disk laser: fundamental and soliton bound states,” Opt. Express 21, 25526–25531 (2013). M. Mangold, C. A. Zaugg, S. M. Link, M. Golling, B. W. Tilma, and U. Keller, “Pulse repetition rate scaling from 5 to 100 GHz with a high-power semiconductor disk laser,” Opt. Express 22, 6099–6107 (2014). F. Zhang, B. Heinen, M. Wichmann, C. Möller, B. Kunert, A. Rahimi-Iman, W. Stolz, and M. Koch, “A 23-watt single-frequency vertical-external-cavity surface-emitting laser,” Opt. Express 22, 12817–12822 (2014). A. Laurain, C. Mart, J. Hader, J. Moloney, B. Kunert, and W. Stolz, “15 W single frequency optically pumped semiconductor laser with sub-MHz linewidth,” IEEE Photon. Technol. Lett. 26, 131–133 (2014). R. Bek, H. Kahle, T. Schwarzbäck, M. Jetter, and P. Michler, “Mode-locked red-emitting semiconductor disk laser with sub-250 fs pulses,” Appl. Phys. Lett. 103, 242101 (2013). A. Härkönen, C. Grebing, J. Paajaste, R. Koskinen, J. P. Alanko, S. Suomalainen, G. Steinmeyer, and M. Guina, “Modelocked GaSb disk laser producing 384 fs pulses at 2 μm wavelength,” Electron. Lett. 47, 454–456 (2011). D. Waldburger, S. M. Link, M. Mangold, C. G. E. Alfieri, E. Gini, M. Golling, B. W. Tilma, and U. Keller, “High-power 100 fs semiconductor disk lasers,” Optica 3, 844–852 (2016). K. G. Wilcox, A. C. Tropper, H. E. Beere, D. A. Ritchie, B. Kunert, B. Heinen, and W. Stolz, “4.35 kW peak power femtosecond pulse mode-locked VECSEL for supercontinuum generation,” Opt. Express 21, 1599–1605 (2013). I. Kilen, J. Hader, J. V. Moloney, and S. W. Koch, “Ultrafast nonequilibrium carrier dynamics in semiconductor laser mode locking,” Optica 1, 192–197 (2014). M. D. Young, S. Backus, C. Durfee, and J. Squier, “Multiphoton imaging with a direct-diode pumped femtosecond Ti:sapphire laser,” J. Microsc. 249, 83–86 (2013). J. T. Good, D. B. Holland, I. A. Finneran, P. B. Carroll, M. J. Kelley, and G. A. Blake, “A decade-spanning high-resolution asynchronous optical sampling terahertz time-domain and frequency comb spectrometer,” Rev. Sci. Instrum. 86, 103107 (2015). C. A. Zaugg, A. Klenner, M. Mangold, A. S. Mayer, S. M. Link, F. Emaury, M. Golling, E. Gini, C. J. Saraceno, B. W. Tilma, and U. Keller, “Gigahertz self-referenceable frequency comb from a semiconductor disk laser,” Opt. Express 22, 16445–16455 (2014). A. Klenner and U. Keller, “All-optical Q-switching limiter for high-power gigahertz modelocked diode-pumped solid-state lasers,” Opt. Express 23, 8532–8544 (2015). 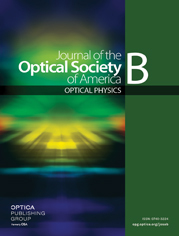 A. Laurain, D. Marah, R. Rockmore, J. McInerney, J. Hader, A. R. Perez, W. Stolz, and J. V. Moloney, “Colliding pulse mode locking of vertical-external-cavity surface-emitting laser,” Optica 3, 781–784 (2016). K. Gbele, A. Laurain, J. Hader, W. Stolz, and J. V. Moloney, “Design and fabrication of hybrid metal semiconductor mirror for high-power VECSEL,” IEEE Photon. Technol. Lett. 28, 732–735 (2016). A. E. Siegman, “Bragg diffraction of a Gaussian beam by a crossed-Gaussian volume grating,” J. Opt. Soc. Am. 67, 545–550 (1977). D. J. H. C. Maas, B. Rudin, A.-R. Bellancourt, D. Iwaniuk, S. V. Marchese, T. Südmeyer, and U. Keller, “High precision optical characterization of semiconductor saturable absorber mirrors,” Opt. Express 16, 7571–7579 (2008). O. Sieber, M. Hoffmann, V. Wittwer, M. Mangold, M. Golling, B. Tilma, T. Südmeyer, and U. Keller, “Experimentally verified pulse formation model for high-power femtosecond VECSELs,” Appl. Phys. B 113, 133–145 (2013). J. Hader, S. Koch, and J. Moloney, “Microscopic theory of gain and spontaneous emission in GaInNAs laser material,” Solid-State Electron. 47, 513–521 (2003). J. Hader, H.-J. Yang, M. Scheller, J. V. Moloney, and S. W. Koch, “Microscopic analysis of saturable absorbers: semiconductor saturable absorber mirrors versus graphene,” J. Appl. Phys. 119, 053102 (2016). H. Haug and S. W. Koch, “Semiconductor laser theory with many-body effects,” Phys. Rev. A 39, 1887–1898 (1989). J. Hader, J. V. Moloney, and S. W. Koch, “Microscopic analysis of non-equilibrium dynamics in the semiconductor-laser gain medium,” Appl. Phys. Lett. 104, 151111 (2014). J. Hader, M. Scheller, A. Laurain, I. Kilen, C. Baker, J. V. Moloney, and S. W. Koch, “Ultrafast non-equilibrium carrier dynamics in semiconductor laser mode-locking,” Semicond. Sci. Technol. 32, 013002 (2017). Maas, D. J. H. C.
Fig. 1. Schematic layout of the VECSEL setup (right) and design of the full VECSEL structure (left). Fig. 2. (a) Reflectivity spectra of the VECSEL structure with and without the gold reflector measured at room temperature (black and gray lines, respectively), together with the simulated spectra (dotted lines). (b) Measured group delay dispersion spectrum of the SESAM and VECSEL gain structure. The dotted line represents the sum of the VECSEL and SESAM GDD, and the vertical bars indicate the standard deviation over 20 measures. Fig. 3. Measured non-collinear SHG autocorrelation of the single pulse operation output, and simulated autocorrelation of a sech 2 pulse with a FWHM of 128 fs. Fig. 4. Measured optical spectrum of the output beam consisting of a single 128 fs pulse per round trip, and simulated spectrum of an unchirped 128 fs sech 2 pulse. Fig. 5. Microwave spectrum of the laser output, with a RBW of 100 kHz and a 40 GHz span (left), and with a RBW of 1 kHz and a span of 2 MHz (right). Fig. 6. Measured non-collinear autocorrelation of the side pulse operation output, and simulation of the autocorrelation of a sech 2 pulse with a FWHM of 130 fs followed by a 130 fs side pulse delayed by 430 fs with a relative intensity of 56%. Fig. 7. Measured optical spectrum of the side pulse operation output, and simulation of the transform limited spectrum of two successive sech 2 130 fs pulse delayed by 430 fs. Fig. 8. Field intensity distribution of two Gaussian beams colliding with an angle of 7° at z = 0 . Fig. 9. (a) Microscopically calculated QW absorption spectra for various carrier density N . (b) Simulated absorption losses as a function of the carrier density N of the SESAM. Fig. 10. Experimentally measured and simulated reflectivity change in the SESAM after excitation with a 80 fs pulse at 990 nm with a fluence of 25 μJ / cm 2 . Fig. 11. Carrier density in the SESAM QW generated by the colliding of two pulses of (a) 50 nJ / cm 2 , and (b) 50 μJ / cm 2 . The incident beams are centered at ( x = 0 , y = 0 ) and are axially symmetric. Fig. 12. Simulated carrier density in the SESAM at the center of the beam ( x = y = 0 ) , from a single 128 fs pulse of 51.8 μJ / cm 2 (90 mW average output power), and a double 130 fs pulse of 87.4 μJ / cm 2 (152 mW output power) separated by 430 fs. Fig. 13. Simulated absorption losses from a single pulse of 90 mW and a dual pulse of 152 mW separated by 430 fs. Fig. 14. Simulated pulse intensity before and after reflection on the SESAM for (a) single pulse operation and (b) side pulse operation. The SESAM losses are artificially increased by a factor 30 for illustration purposes. Fig. 15. Absorption losses from the SESAM as a function of intracavity fluence for different delays of the two counterpropagating pulses. Fig. 16. Time traces of the two counterpropagating output beams in a CW regime (left) and in a mode-locked regime (right). (3) I ( x , y , z , t ) = [ E l + E r ] × [ E l ¯ + E r ¯ ] . (4) I ( x , y , t ) = e − 2 x 2 + y 2 w 0 2 [ E r 0 2 sech 2 ( t τ ) + E l 0 2 sech 2 ( t − t d τ ) + … 2 E r 0 E l 0 sech ( t − t d τ ) sech ( t τ ) cos ( π θ x λ ) ] . (11) P lost ( t ) = h ν η × ∂ ∂ t ( ∬ x y N gen ( x , y , t ) d x d y ) . (12) E lost = ∫ P lost ( t ) d t .